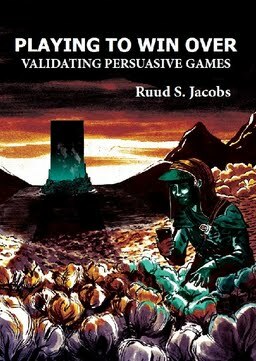 This dissertation describes four years of scientific inquiry into persuasive games – digital games designed to persuade – as part of a multidisciplinary research project ‘Persuasive Gaming. From Theory-Based Design to Validation and Back’ funded by the Netherlands Organization for Scientific Research. Playing to Win Over focuses on the effects of these games, with the aim to determine whether persuasive games ‘work’. Game topics that are investigated include forced labor cotton picking practices, teen dating violence, and smartphone use while driving. This dissertation first proposes a theoretical model that describes the facets of game, player, and play context that are most important for persuasion to take place. Next, six empirical studies are described that highlight the relationships in this model, ultimately showing if and how persuasive games persuade their players.